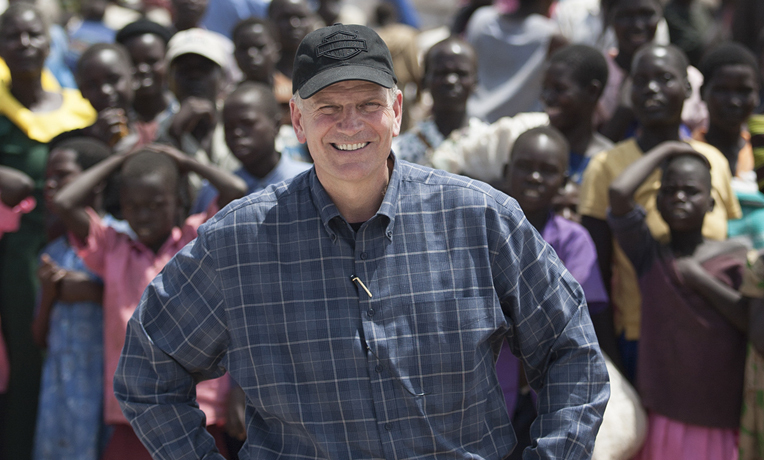 Franklin Graham has devoted his life to meeting the needs of people around the world and proclaiming the Gospel of Jesus Christ. The elder son of Billy and Ruth Bell Graham, he has served as president and CEO of Samaritan’s Purse since 1979 and as president and CEO of the Billy Graham Evangelistic Association since 2001. Under his leadership, Samaritan’s Purse has met the needs of poor, sick, and suffering people in more than 100 countries. As an evangelist for the Billy Graham Evangelistic Association, he has led crusades around the world. Raised in a log home in the Appalachian Mountains outside Asheville, North Carolina, Franklin now lives in the mountains of Boone, North Carolina, with his wife, Jane Graham. He was born into a heritage rich in Christian ministry. By the time of Franklin’s birth, Billy Graham was already known around the world as a spiritual leader, but he wasn’t the only spiritual giant in the family. Franklin’s maternal grandfather, Lemuel Nelson Bell, was a medical missionary to China for more than 20 years, a respected moderator of his denomination, the Presbyterian Church in the United States, and a co-founder and executive editor of Christianity Today. At age 22, after a period of rebellion and traveling the world, Franklin committed his life to Jesus Christ while alone in a hotel room in Jerusalem. Soon after that, Dr. Bob Pierce, founder of Samaritan’s Purse (and World Vision), invited Franklin to join him on a six-week mission to Asia. It was during that time that Franklin felt a calling to work with hurting people in areas of the world affected by war, famine, disease, and natural disasters.